Change is always on the menu. Successful professionals recognize the need for initiating and managing self-change and personal transformation on an ongoing basis. Artificial intelligence and smart machines are reinventing the workplace. You want to be a step ahead of the curve—laggards will truly be at a disadvantage in these fast moving environments of advanced technologies. Ongoing career reinventions are a necessity not a nice to have option. This course walks you through the step-by-step process of exploring your reinvention options and discovering the right dots to connect for your desired career move. Whether you’re joining a new employer, taking on a new role within your company or considering a longer term plan of operating your own business, we simplify the process so that you don’t get in the way of your next success! Purchase our flagship 30 Day Career Reinvention course before launch (targeting end of April). 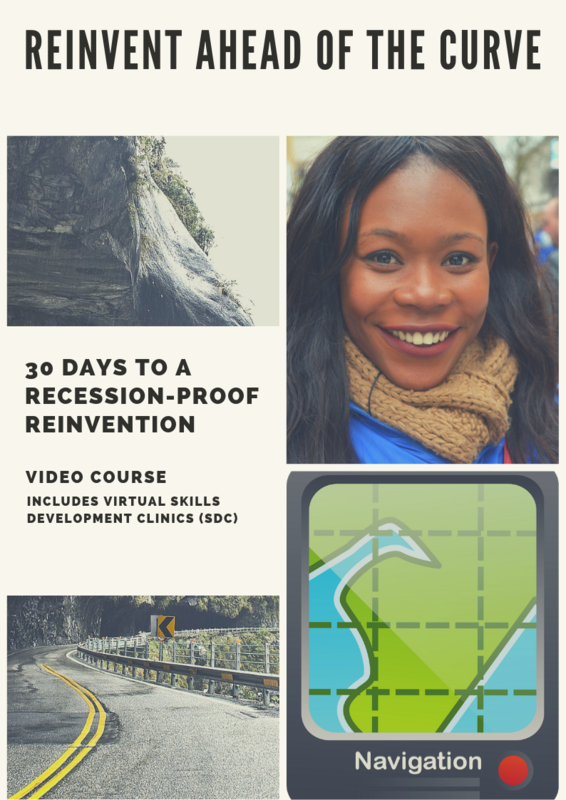 Get the new course for FREE + invitations to attend bi-monthly Skills Development Clinics to hone your reinvention skills in front of your Personal Inflection Curve (P.I.C.)! My 2 for 1 offer! An online course that actually works! 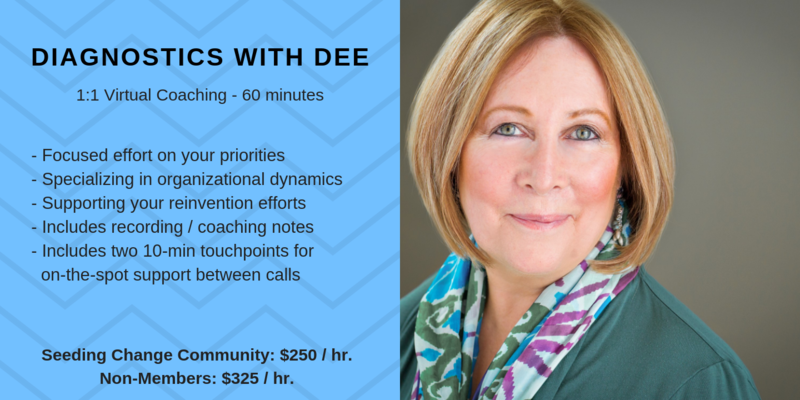 In preparing myself for career change, I took Dee’s 30 Day Career Reinvention course. Savvy yet methodical, the course takes the learner through an evaluation of what skill sets, work achievements, interests in other career paths, and assessment of the risk in making a career change. 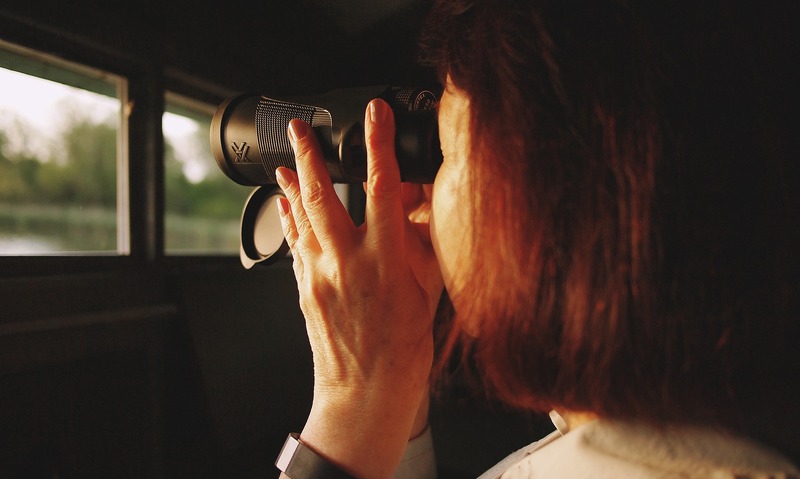 I followed Dee’s course of systematic thought process and determined that I could make a jump to another career position with more focus on my passion: business process improvement, while also making a move to a new geographic location. It worked!